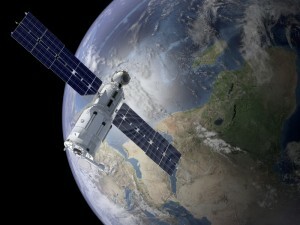 Satellites are progressively challenged to connect isolated networks to the main Internet pathways and mobile infrastructure. They are often the only technology able to directly secure and restore communication and therefore it is critically important for the medical and defence sectors to have immediate communication and responsive services. AO Technologies provide everything from complete earth stations through to simple waveguides and cabling. AO Technologies are proud to offer the latest in VSAT technology. AO can supply your exact requirement within an efficient and reliable time frame. The VSAT range of products include: Mobile, Flyaway and fixed systems with GEO, MEO, LEO and inclined orbit tracking. These are available in C, X, KU and Ka frequency bands with antenna sizes from 1.2 M to 3.8 M.
Reflector types: Prime Focus, Single or dual offset of aluminium or composite construction or flat arrays.